Admin Plus has been designed to support multi-channel distribution, end-to-end sales and service processing, and to enhance customer service. A set of well-defined interfaces enables integration to all standard external systems such as payments systems and general ledger systems. With industry leading levels of configurability, Admin Plus supports all front office and back office functionality including: Product Configuration, Quotations & Illustrations, E-Applications, Policy Servicing, Claims & Payments, and Agency & Commissions. Withdrawals, Annuities and claims – Payments including one-off claim, annuity payment or withdrawals. Single customer identifier – customer centric. 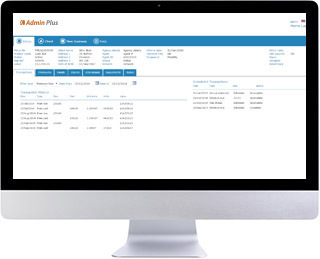 Click here to see the main benefits of Admin Plus!